"Anniversary Day" redirects here. For the Norfolk Island public holiday, see Bounty Day. Some Indigenous Australian events are now included. However, since at least 1938 Australia Day has also been marked by some Indigenous Australians protesting what they see as the invasion of their land by Europeans, and its celebration as a national holiday. They prefer to call it "Invasion Day" or "Survival Day" and advocate that, alternatively, the date should be changed. On 13 May 1787 a fleet of 11 ships, which came to be known as the First Fleet, was sent by the British Admiralty from England to Australia. Under the command of Captain Arthur Phillip, the fleet sought to establish a penal colony at Botany Bay on the coast of New South Wales, which had been explored and claimed by Lieutenant James Cook in 1770. The settlement was seen as necessary because of the loss of the Thirteen Colonies in North America. The Fleet arrived between 18 and 20 January 1788, but it was immediately apparent that Botany Bay was unsuitable. On 21 January, Phillip and a few officers travelled to Port Jackson, 12 kilometres (7.5 mi) to the north, to see if it would be a better location for a settlement. They stayed there until 23 January; Phillip named the site of their landing Sydney Cove, after the Home Secretary, Thomas Townshend, 1st Viscount Sydney. They also made contact with the local Aboriginal people. They returned to Botany Bay on the evening of 23 January, when Phillip gave orders to move the fleet to Sydney Cove the next morning, 24 January. That day, there was a huge gale blowing, making it impossible to leave Botany Bay, so they decided to wait till the next day, 25 January. However, during 24 January, they spotted the ships Astrolabe and Boussole, flying the French flag, at the entrance to Botany Bay; they were having as much trouble getting into the bay as the First Fleet was having getting out. On 25 January the gale was still blowing; the fleet tried to leave Botany Bay, but only HMS Supply made it out, carrying Arthur Phillip, Philip Gidley King, some marines and about 40 convicts; they anchored in Sydney Cove in the afternoon. On 26 January, early in the morning, Phillip along with a few dozen marines, officers and oarsmen, rowed ashore and took possession of the land in the name of King George III. The remainder of the ship's company and the convicts watched from on board Supply. Meanwhile, back at Botany Bay, Captain John Hunter of HMS Sirius made contact with the French ships, and he and the commander, Captain de Clonard, exchanged greetings. Clonard advised Hunter that the fleet commander was Jean-François de Galaup, comte de Lapérouse. Sirius successfully cleared Botany Bay, but the other ships were in great difficulty. Charlotte was blown dangerously close to rocks; Friendship and Prince of Wales became entangled, both ships losing booms or sails; Charlotte and the Friendship actually collided; and Lady Penrhyn nearly ran aground. Despite these difficulties, all the remaining ships finally managed to clear Botany Bay and sail to Sydney Cove on 26 January. The last ship anchored there at about 3 pm. The formal establishment of the Colony of New South Wales did not occur on 26 January as is commonly assumed. It did not occur until 7 February 1788, when the formal proclamation of the colony and of Arthur Phillip's governorship were read out. The vesting of all land in the reigning monarch King George III also dates from 7 February 1788. Although there was no official recognition of the colony's anniversary, with the New South Wales Almanacks of 1806 and 1808 placing no special significance on 26 January, by 1808 the date was being used by the colony's immigrants, especially the emancipated convicts, to "celebrate their love of the land they lived in" with "drinking and merriment". The 1808 celebrations followed this pattern, beginning at sundown on 25 January, and lasted into the night, the chief toast of the occasion being Major George Johnston. Johnston had the honour of being the first officer ashore from the First Fleet, having been carried from the landing boat on the back of convict James Ruse. Despite suffering the ill-effects of a fall from his gig on the way home to Annandale, Johnston led the officers of the New South Wales Corps in arresting Governor William Bligh on the following day, 26 January 1808, in what became known as the "Rum Rebellion". On Monday the 27th ult. a dinner party met at the house of Mr. Isaac Nichols, for the purpose of celebrating the Anniversary of the Institution of this Colony under Governor Philip, which took place on 26 Jan. 1788, but this year happening upon a Sunday, the commemoration dinner was reserved for the day following. The party assembled were select, and about 40 in number. At 5 in the afternoon dinner was on the table, and a more agreeable entertainment could not have been anticipated. After dinner a number of loyal toasts were drank, and a number of festive songs given; and about 10 the company parted, well gratified with the pleasures that the meeting had afforded. 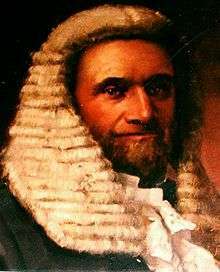 1818 was the 30th anniversary of the founding of the colony, and Governor Lachlan Macquarie chose to acknowledge the day with the first official celebration. The Governor declared that the day would be a holiday for all government workers, granting each an extra allowance of "one pound of fresh meat", and ordered a 30-gun salute at Dawes Point – one for each year that the colony had existed. This began a tradition that was retained by the Governors that were to follow. The parties who associated themselves under the title of "United Australians" have been censured for adopting a principle of exclusiveness. It is not fair so to censure them. If they invited emigrants to join them they would give offence to another class of persons – while if they invited all they would be subject to the presence of persons with whom they might not wish to associate. That was a good reason. The "Australians" had a perfect right to dine together if they wished it, and no one has a right to complain. The following year, 1838, was the 50th anniversary of the founding of the colony, and as part of the celebrations Australia's first public holiday was declared. The regatta was held for a second time, and people crowded the foreshores to view the events, or joined the five steamers (Maitland, Experiment, Australia, Rapid, and the miniature steamer Firefly) to view the proceedings from the water. At midday 50 guns were fired from Dawes' Battery as the Royal Standard was raised, and in the evening rockets and other fireworks lit the sky. The dinner was a smaller affair than the previous year, with only 40 in attendance compared to the 160 from 1837, and the anniversary as a whole was described as a "day for everyone". Prior to 1888, 26 January was very much a New South Wales affair, as each of the colonies had their own commemorations for their founding. South Australia had Proclamation Day 28 December and Western Australia had their own Foundation Day (now Western Australia Day) on 1 June. 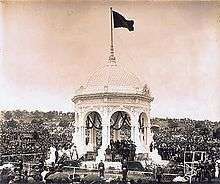 In 1888, all colonial capitals except Adelaide celebrated "Anniversary Day". In 1910, South Australia adopted Australia Day, followed by Victoria in 1931. By 1935, all states of Australia were celebrating 26 January as Australia Day (although it was still known as Anniversary Day in New South Wales). The name "Foundation Day" persisted in local usage. The 150th anniversary of British settlement in Australia in 1938 was widely celebrated. Preparations began in 1936 with the formation of a Celebrations Council. 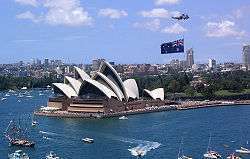 In that year, New South Wales was the only state to abandon the traditional long weekend, and the annual Anniversary Day public holiday was held on the actual anniversary day – Wednesday 26 January. The Commonwealth and state governments agreed to unify the celebrations on 26 January as "Australia Day" in 1946, although the public holiday was instead taken on the Monday closest to the actual anniversary. 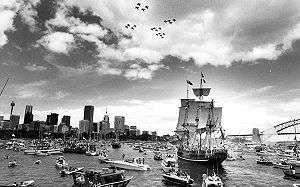 In 1988, the celebration of 200 years since the arrival of the First Fleet was organised on a large scale, with many significant events taking place in all major cities. Over 2.5 million people attended the event in Sydney. These included street parties, concerts, including performances on the steps and forecourt of the Sydney Opera House and at many other public venues, art and literary competitions, historic re-enactments, and the opening of the Powerhouse Museum at its new location. A re-enactment of the arrival of the First Fleet took place in Sydney Harbour, with ships that had sailed from Portsmouth a year earlier taking part. Since 1988, participation in Australia Day has increased, and in 1994 all states and territories began to celebrate a unified public holiday on the actual day for the first time. Research conducted in 2007 reported that 27.6% of Australians polled attended an organised Australia Day event and a further 25.6% celebrated with family and friends, making Australia Day the largest annual public event in the nation. This reflected the results of an earlier research project where 66% of respondents anticipated that they would actively celebrate Australia Day 2005. In Sydney, the harbour is a focus and boat races are held, such as a ferry race and the tall ships race. In Adelaide, the key celebrations are "Australia Day in the City" which is a parade, concert and fireworks display held in Elder park and the traditional International Cricket match played at the Adelaide Oval. Featuring the People's March and the Voyages Concert, Melbourne's events focus strongly on the celebration of multiculturalism. Despite a drop in attendance in 2010, but with audiences still estimated at 400,000, the Perth Skyworks is the largest single event presented each Australia Day. Australian Prime Minister, Julia Gillard and Department of Immigration and Citizenship Secretary, Mr Andrew Metcalfe hand out Citizenship Certificates to new Australian Citizens (2011). The official Australia Day Ambassador Program supports celebrations in communities across the nation by facilitating the participation of high-achieving Australians in local community celebrations. In 2011, 385 ambassadors participated in 384 local community celebrations. The Order of Australia awards are also a feature of the day. The Australia Day Achievement Medallion is awarded to citizens by local governments based on excellence in both government and non-government organisations. The Governor-General and Prime Minister both address the nation. On the eve of Australia Day each year, the Prime Minister announces the winner of the Australian of the Year award, presented to an Australian citizen who has shown a "significant contribution to the Australian community and nation" and is an "inspirational role model for the Australian community". Subcategories of the award include Young Australian of the Year and Senior Australian of the Year, and an award for Australia's Local Hero. Various music festivals are held on Australia Day, such as the Big Day Out, the Triple J Hottest 100, and the Australia Day Live Concert which is televised nationally. For many years an international cricket match has been held on Australia Day at the Adelaide Oval. These matches have included both Test matches and One Day Internationals. Research in 2009 indicated that Australians reflect on history and future fairly equally on Australia Day. Of those polled, 43% agreed that history is the most important thing to think about on Australia Day and 41% said they look towards "our future", while 13% thought it was important to "think about the present at this time" and 3% were unsure. Despite the date reflecting the arrival of the First Fleet, contemporary celebrations are not particularly historical in their theme. There are no large-scale re-enactments and the national leader's participation is focused largely on events such as the Australian of the Year Awards announcement and Citizenship Ceremonies. Possibly reflecting a shift in Australians' understanding of the place of Indigenous Australians in their national identity, Newspoll research in November 2009 reported that ninety percent of Australians polled believed "it was important to recognise Australia's indigenous people and culture" as part of Australia Day celebrations. A similar proportion (89%) agreed that "it is important to recognise the cultural diversity of the nation". Despite the strong attendance at Australia Day events and a positive disposition towards the recognition of Indigenous Australians, the date of the celebrations remains a source of challenge and national discussion. For some Australians, particularly Indigenous Australians, Australia Day has become a symbol of the adverse impacts of British settlement on Australia's Indigenous people. The celebrations in 1938 were accompanied by an Aboriginal Day of Mourning. A large gathering of Aboriginal people in Sydney in 1988 led an "Invasion Day" commemoration marking the loss of Indigenous culture. The anniversary is also known as "Survival Day" and marked by events such as the Survival Day concert first held in Sydney in 1992, celebrating the fact that the Indigenous people and culture have not been completely wiped out. In response, official celebrations have tried to include Indigenous people, holding ceremonies such as the Woggan-ma-gule ceremony, which was held in Sydney in 2006 and honoured the past and celebrated the present; it involved Indigenous Australians and the Governor of New South Wales. Invasion Day is a term used by some Indigenous figures and their supporters to refer to 26 January, and protests occur almost every year, sometimes at Australia Day events. Survival Day is a term used by some Aboriginals to mark the day as an opportunity to recognise the survival of their people and culture in the face of colonisation and discrimination. In 2016, National Indigenous Television chose the name as a preferred choice as it acknowledges the mixed nature of the day. It recognises an invasion, but does not allow that to frame the entire story of the Aboriginal people. In January 1988, members of various Indigenous groups collectively made an effort to promote an awareness among other Australians of their presence, their needs and their desire that there should be communication, reconciliation and co-operation over the land rights issues. To this purpose, during January they set up a highly visible Tent Embassy at a shoreside location at a point called Mrs Macquarie's Chair, adjacent to the Sydney Royal Botanic Gardens. The embassy, consisting of several large marquees and smaller tents, was manned by a group of Aboriginal people from Eveleigh Street, Redfern, and was organised with the co-operation of the local council's department of parks and gardens. It became a gathering place for Aboriginal people from all over Sydney. One of the aims of the embassy was to be seen by the many thousands of Sydneysiders whom the organisers claimed did not know, and rarely even saw, any Aboriginal people. The current date, celebrating the foundation of the Colony of New South Wales, can be seen as lacking national significance. Australia Day falls during the school holidays, limiting the ability of schools to engage children in the event. The date can be perceived as being intrinsically connected to Australia's convict past, celebrating "Britain's driving ashore of Australia's first white citizens in chains". It fails to encompass all Australians, including members of the indigenous community and others who see it as commemorating the date of the invasion of their land. Connected to this is the suggestion that moving the date would be seen as a significant symbolic act. Amongst those calling for change have been Tony Beddison, then chairman of the Australia Day Committee (Victoria), who argued for change and requested debate on the issue in 1999; and Mick Dodson, who was Australian of the Year in 2009, called for debate in regard to when Australia Day was held. As early as 1957, 1 January was suggested as a possible alternative day, to commemorate the Federation of Australia. In 1902, the year after Federation, 1 January was named "Commonwealth Day". However, New Year's Day was already a public holiday, and Commonwealth Day did not gather much support. There has been a degree of support in recent years for making Anzac Day, 25 April, Australia's national day, although the suggestions have also encountered strong opposition. In 1999, prompted by Tony Beddison's call for the date to be changed, a merger with Anzac Day found support with Peter Hollingworth (Anglican Archbishop of Brisbane, Queensland), and the Federal Leader of the Opposition, Kim Beazley. Counter arguments to merging the two holidays include the belief that many war veterans view Anzac Day as their day; that Anzac Day is also a public holiday in New Zealand, Cook Islands, Niue, Samoa and Tonga; and that a merger would detract from the core purpose of Anzac Day – to honour the war dead. 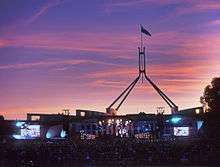 The date 9 May is also sometimes suggested, being not only the date on which the first Federal Parliament was opened in Melbourne in 1901, but also the date of the opening of the Provisional Parliament House in Canberra in 1927, and the date of the opening of the New Parliament House in 1988. The date has, at various times, won the support of Queensland Premier Peter Beattie, Tony Beddison, and Geoffrey Blainey. However, as with the Eureka Stockade, the date has been seen by some as being too closely connected with Victoria, and its location close to the start of winter has been described as an impediment. The anniversary of the 1967 referendum to amend the constitutional status of Aborigines has also been suggested as an alternative. The day of the referendum was 27 May and the resulting amendments to the constitution were made on 10 August. The changes made enabled Indigenous Australians to be accounted for under federal law, and to be included in the national census. The public vote in favour was 90.77%. The event was a milestone in the recognition of Indigenous rights in Australia. The Eureka Stockade on 3 December has had a long history as an alternative choice for Australia Day, having been proposed by The Bulletin in the 1880s. The Eureka uprising occurred in 1854 during the Victorian gold rush, and saw a failed rebellion by the miners against the Victorian colonial government. Although the rebellion was crushed, it led to significant reforms, and has been described as being the birthplace of Australian democracy. Supporters of the date have included senator Don Chipp and Victorian Premier Steve Bracks. Nevertheless, the idea failed to gain traction in the 1880s, possibly due to the loyalty of the colonialists to Britain, for "even in Ballarat Eureka had to be forgotten". The Eureka Stockade idea has opposed after being claimed by both hard-left unions and right-wing nationalist groups, and amongst some it is still seen as an essentially Victorian event. Wattle Day on 1 September has been proposed as a unifying national patriotic holiday by the Wattle Day Association, and has been raised as an alternative date for Australia Day. There is a degree of historical precedent to the suggestion: Wattle Day was celebrated as Australia Day in South Australia for many years, though from 1915 to 1918, Australia Day was celebrated there on 26 July. Constitution Day, 9 July is also suggested as a possible alternative, commemorating the day in 1900 when Queen Victoria gave her assent to the Constitution of Australia. The 3 March anniversary of the Australia Acts coming into force has been raised as an option, having been referred to as Australian Independence Day. These Acts removed the United Kingdom's ability to legislate for the Australian States, the Queen's ability to disallow or suspend State legislation, as well as severing the remaining appeal channels from the State Supreme Courts and the High Court of Australia to the Privy Council of the United Kingdom. Queen Elizabeth II signed a proclamation at Government House in Canberra on 2 March 1986 for the Acts to take effect 5.00 am Greenwich Mean Time the next day. Any decision to change the date of Australia Day would have to be made by a combination of the Australian Federal and State Governments. In recent years such a move has lacked sufficient support, with both Prime Ministers and Leaders of the Opposition speaking against the idea. In 2001 the Prime Minister John Howard stated that he acknowledged Aboriginal concerns with the date, but that it was nevertheless a significant day in Australia's history, and thus he was in favour of retaining the current date. He also noted that 1 January, which was being discussed in light of the Centenary of Federation, was inappropriate as it coincided with New Year's Day. Prime Minister Kevin Rudd gave a "straightforward no" to a change of date, speaking in response to Mick Dodson's suggestion to reopen the debate. The Leader of the Opposition, Malcolm Turnbull, echoed Rudd's support of 26 January, but, along with Rudd, supported the right of Australians to raise the issue. In regard to State leaders, New South Wales Premier Nathan Rees stated that he was yet to hear a "compelling argument" to support change; and Queensland Premier Anna Bligh expressed her opposition to a change of date in spite of any controversy. In 2004, a Newspoll that asked if the date of Australia Day should be moved to one that is not associated with European settlement found 79 per cent of respondents favoured no change, 15 per cent favoured change and 6 per cent were uncommitted. Historian Geoffrey Blainey said he believed 26 January worked well as Australia Day and that: "My view is that it is much more successful now than it's ever been." ↑ Barry, Evonne (25 January 2012). "Children to learn why Australia Day is also known as 'Invasion Day'". Herald Sun. Daily Telegraph. Retrieved 26 August 2013. ↑ "What does Australia Day mean?". ↑ "Australia Day in question". The Age. 26 January 2008. p. 2. ↑ "Australia Day – A History". Victoria State Government. Archived from the original on 19 July 2008. Retrieved 26 January 2009. 1 2 Tippet, Gary (25 January 2009). "90 years apart and bonded by a nation". Melbourne: Australia Day Council of New South Wales. Archived from the original on 31 January 2009. Retrieved 25 January 2009. ↑ Marlow, Karina (21 January 2016). "Australia Day, Invasion Day, Survival Day: What's in a name?". NITV. Retrieved 30 July 2016. ↑ Ekirch, A. Robert (December 1984). "Great Britain's Secret Convict Trade to America, 1783–1784". The American Historical Review. 89 (5): 1291. doi:10.2307/1867044. ↑ "New South Wales 1867-1870". ↑ Bonyhady, Tim (2003). The Colonial Earth. Melbourne, Australia: Melbourne University Publishing. p. 42. ISBN 0-522-85053-7. 1 2 3 4 5 6 7 8 9 10 11 12 Kwan, Elizabeth. "Celebrating Australia: A History of Australia Day essay". Australia Day. National Australia Day Council. Archived from the original on 4 January 2010. Retrieved 26 December 2009. ↑ Clark, Manning in "Student Resources: Australia Day History". Australia Day. Australia Day Council of New South Wales. Archived from the original on 4 January 2010. Retrieved 26 December 2009. ↑ "Sydney". The Sydney Gazette and New South Wales Advertiser. Sydney, Australia. 1 February 1817. pp. 2–3. Retrieved 30 December 2009. 1 2 3 4 5 6 "Student Resources: Australia Day History". Australia Day. Australia Day Council of New South Wales. Archived from the original on 4 January 2010. Retrieved 26 December 2009. ↑ Watts, John (24 January 1818). "Government and General Orders". The Sydney Gazette and New South Wales Advertiser. Sydney, Australia. p. 1. Retrieved 30 December 2009. 1 2 "The Regatta". The Sydney Gazette and New South Wales Advertiser. Sydney, Australia. 28 January 1837. p. 2. Retrieved 30 December 2009. ↑ "Regatta". Sydney Herald. Sydney, Australia. 30 January 1837. p. 2. Retrieved 30 December 2009. 1 2 "Dinner of the United Australians". Sydney Herald. Sydney, Australia. 30 January 1837. p. 2. Retrieved 30 December 2009. 1 2 "The Jubilee". Sydney Herald. Sydney, Australia. 29 January 1938. p. 2. Retrieved 31 December 2009. ↑ "THE CENTRAL QUEENSLAND BERALD.". The Central Queensland Herald (Rockhampton, Qld. : 1930 – 1956). Rockhampton, Qld. : National Library of Australia. 3 February 1955. p. 3. Retrieved 23 September 2014. ↑ "Chronology". Australia Day Council of NSW. Retrieved 1 June 2016. ↑ "History of Australia Day". National Australia Day Council. Retrieved 27 January 2007. ↑ "Australia Day History". Archived from the original on 19 October 2010. Retrieved 15 October 2010. 1 2 Deery, Margaret; Jago, Leo Kenneth; Fredline, Liz (2007). "Celebrating a National Day: the Meaning and Impact of Australia Day Events". 4th International Event Research Conference. Victoria University. ISBN 0-9750957-9-X. ↑ "National Australia Day Council: Annual Report 2008–2009" (PDF). National Australia Day Council. 2009. Retrieved 28 July 2010. ↑ Herald Sun, "Australia Day Program", 20 January 2010. ↑ Beatrice, Thomas (6 April 2010). "Fewer young at 'dry' Skyworks". The West Australian. Retrieved 28 July 2010. ↑ "City of Perth Australia Day Skyworks". ABC Perth Events. Australian Broadcasting Corporation. Retrieved 30 July 2010. ↑ "Selection criteria". National Australia Day Council. Archived from the original on 29 August 2007. Retrieved 29 October 2007. ↑ "Team records - Combined Test, ODI and T20I records - Cricinfo Statsguru - ESPN Cricinfo". ↑ Toscano, Joe. "The relevancy of Australia Day". Melbourne Indymedia. Archived from the original on 18 May 2007. Retrieved 18 December 2008. 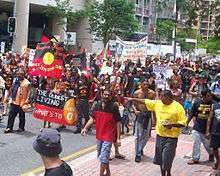 ↑ "Invasion day protests amid Australia Day debate". 26 January 2009. Retrieved 15 October 2010. ↑ Narushima, Yuko (23 January 2010). "Obey the law at least, Abbott tells migrants". The Sydney Morning Herald. ↑ "Significant Aboriginal Events in Sydney". Sydney City Council website. Archived from the original on 4 February 2007. Retrieved 29 January 2007. ↑ "Reconciliation can start on Australia Day". The Age. Melbourne, Australia. 29 January 2007. Archived from the original on 13 January 2009. Retrieved 18 December 2008. ↑ "Australia Day, Invasion Day, Survival Day: What's in a name?". 1 2 3 "Invasion Day protesters highlight injustice". ABC News. Archived from the original on 6 November 2005. Retrieved 29 January 2007. 1 2 3 4 5 6 Ballantine, Derek (5 December 1999). "Australia Day 'should be changed'". Sunday Tasmanian. Hobart, Australia. p. 6. ↑ Wear, Peter (24 January 1998). "Great Expectations". Courier Mail. Brisbane, Australia. p. 23. 1 2 Nicholson, Rod (25 January 2009). "Ron Barassi wants an Australia Day we can all enjoy". Melbourne, Australia: Herald Sun. Archived from the original on 3 July 2009. Retrieved 29 December 2009. ↑ "Dodson wants debate on Australia Day date change". ABC News. Australian Broadcasting Corporation. 26 January 2009. Archived from the original on 14 December 2009. Retrieved 26 December 2009. ↑ "*Ø* Wilson's Almanac free daily ezine". Wilson's Almanac. Retrieved 20 December 2008. 1 2 Hirst, John (26 January 2008). "Australia Day in question". The Age. Melbourne, Australia. Archived from the original on 13 January 2009. Retrieved 20 December 2008. ↑ Ballantyne, Derek (5 December 2009). "DUMP IT! – Australia Day boss says date divides the nation". The Sunday Mail. Brisbane, Australia. p. 1. 1 2 3 Day, Mark (9 December 1999). "Time for a birthday with real meaning". Daily Telegraph. Sydney, Australia. p. 11. ↑ Stewart, Cameron (14 April 2001). "Anzac rethink enrages diggers". Weekend Australian. Sydney, Australia. p. 1. ↑ "Anzac Day merger idea gets shot down". Hobart Mercury. Hobart, Australia. 26 April 2001. p. 1. ↑ Jory, Rex (20 March 2007). "Anzac Day is when we become one". The Advertiser. Adelaide, Australia. p. 20. 1 2 "Day for all Australians". The Sydney Morning Herald. Sydney, Australia. 26 January 2002. ↑ Hudson, Fiona (10 May 2001). "Call to shift Australia Day". Hobart Mercury. Hobart, Australia. 1 2 Turner, Jeff (26 January 2000). "Divided on our national day". The Advertiser. Adelaide, Australia. p. 19. 1 2 Hirst, John (26 January 2008). "Australia Day in question". The Age. Melbourne, Australia. Retrieved 26 December 2009. 1 2 Macgregor, Duncan; Leigh, Andrew; Madden, David; Tynan, Peter (29 November 2004). "Time to reclaim this legend as our driving force". The Sydney Morning Herald. Sydney, Australia. p. 15. ↑ "Our day 'parochial'". Daily Telegraph. Sydney, Australia. 6 December 1999. p. 15. ↑ Fewtrell, Terry (1 September 2006). "Spring is in the air – what a golden day for the wattles". The Canberra Times. Canberra, Australia. Archived from the original on 16 May 2011. Retrieved 28 December 2009. ↑ Stephens, Tony (27 January 2009). "Seeking a day to call our own". The Age. Melbourne, Australia. p. 5. ↑ "Australia Day: Question of Date". The Sydney Morning Herald. Sydney, Australia. 14 June 1915. Retrieved 28 December 2009. ↑ "Australia Day: A Wonderful Celebration". The Advertiser. Adelaide, Australia. 27 July 1918. Retrieved 17 October 2010. ↑ "You are Never Alone " Should July 9 be Australia Day?". education.au. Archived from the original on 16 January 2009. Retrieved 20 December 2008. ↑ "The Australia Day Council of Western Australia/Australia Post "Australia Day" Luncheon Address" (PDF). The Australia Day Council of Western Australia. Retrieved 26 January 2016. ↑ "Choose another Australia Day?". Future Party. Retrieved 26 January 2016. ↑ Twomey, Anne (3 March 2011). "We only became Independent of Britain on this day in 1986". The Australian. Sydney, Australia. Retrieved 26 January 2016. ↑ "Australia Act 1986 (Cth)". Museum of Australian Democracy. Retrieved 26 January 2016. ↑ Rodda, Rachel (27 January 2001). "Nation's birthday debate rekindled". Daily Telegraph. Sydney, Australia. p. 7. 1 2 "Rudd says 'no' to Australia Day date change". ABC News. Australian Broadcasting Corporation. 26 January 2009. Archived from the original on 13 December 2009. Retrieved 20 December 2009. ↑ "Newspoll" (PDF). Retrieved 15 October 2010. ↑ "?". Herald Sun. Retrieved 15 October 2010. Wikimedia Commons has media related to Australia Day.